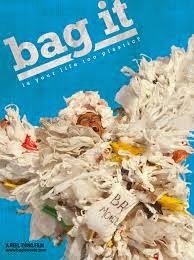 In observance of Earth Month, celebrated annually in April, the Bridgewater Public Library is hosting a screening of the award-winning environmental documentary “Bag It” on Monday, April 13th at 6:30p.m. “Bag It” follows “everyman” Jeb Berrier as he tries to make sense of our dependence on plastic bags. Although his quest starts out small, Jeb soon learns that the problem extends past landfills to oceans, rivers and ultimately human health. The documentary explores these issues and identified how our daily reliance on plastic threatens not only waterways and marine life, but human health too. Two of the most common plastic additives are endocrine disruptors, which have been shown to link to cancer, diabetes, autism, attention deficit disorder, obesity and infertility. For more information about the Bag It movement, go to : http://www.bagitmovie.com/bagittown.html.